The years have gone by so fast that we can hardly believe it ourselves! 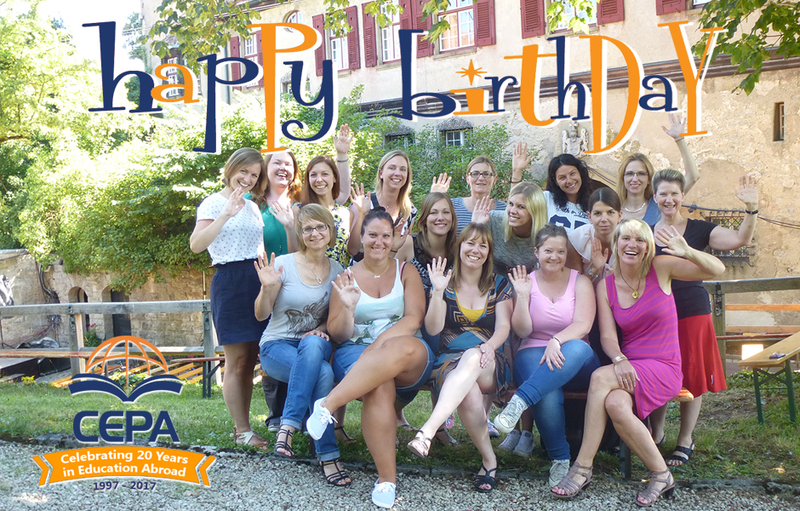 Starting out in 1997 as a small German tour operator, CEPA has developed into a thriving and successful leader in the field of study abroad and faculty-led programs. We are proud of and thankful for our long-standing, trusted university partnerships worldwide. Their vision and passion for international education truly inspires everyone and everything at CEPA. Our reward is the success and satisfaction the students and faculty leaders take home with them at the end of each and every CEPA study abroad program. A sincere “Thank You” goes out to our friends, families, and local partners who have supported us on so many different levels throughout the years. We couldn’t have done it without YOU! Please be sure to connect with us on social media and keep an eye out for exciting posts, including some pretty entertaining “blast-from-the-past” fun during the month of October.